Chemwest designs and builds acid waste neutralization (AWN) systems ranging from small point-of-use installations to systems designed for multiple tools and flow rates. 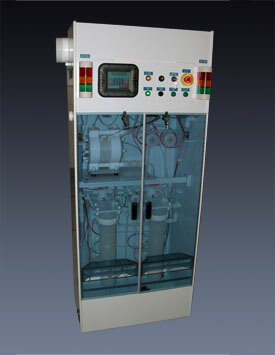 Our system can be configured for either batch or continuous flow neutralization. 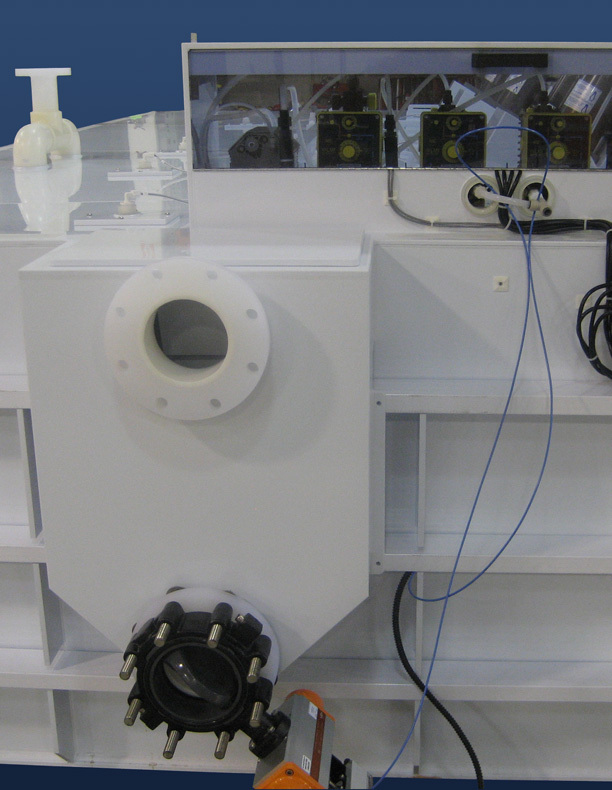 pH sensors monitor incoming waste to determine what chemistries must be added to ensure the specified balanced output. 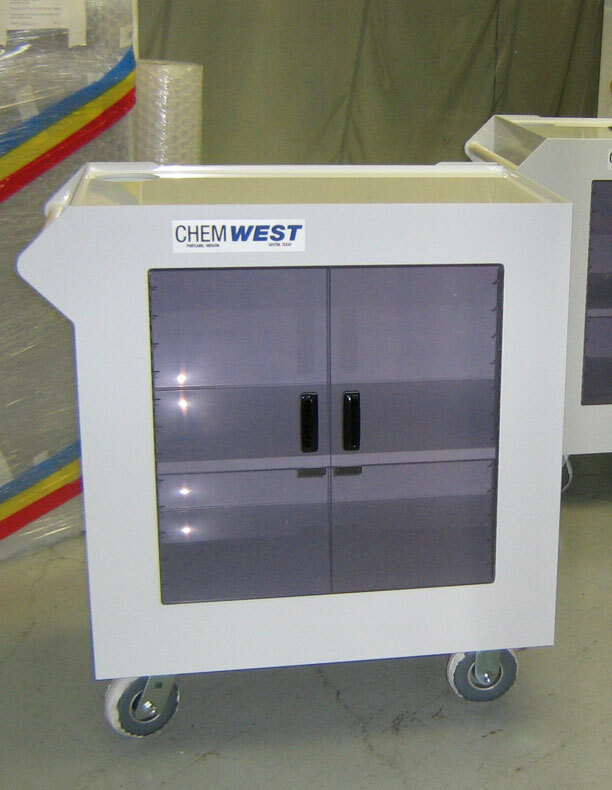 Chemwest manufactures Chemical Delivery Equipment for the safe and efficient distribution of concentrated and/or mixed chemistries from the bulk supply system to the point of use. 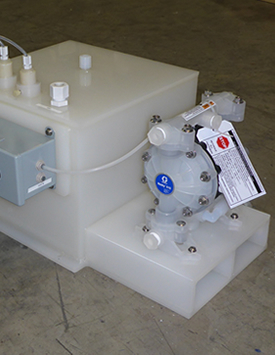 Chemwest manufactures all Chemical Delivery Components within the chemical delivery loop, including Distribution Delivery Systems, Manifold Valve Containment Systems, and Isolation Valve Containment Systems. 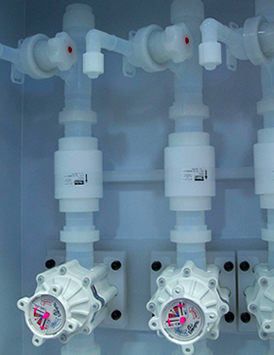 Each Chemical Delivery System is designed for the ultimate in safety including emergency shutdown, double containment, leak detection and enunciation. 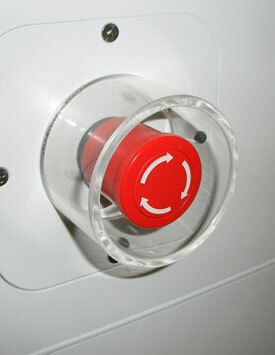 Each system allows access for system maintenance. 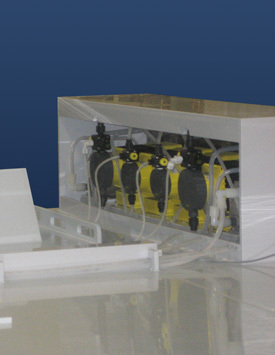 Chemical Delivery Systems can range in size from small, point-of-use delivery to a small number of tools or large systems with distribution to many tools. 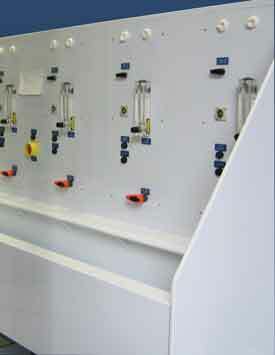 Chemical Delivery Systems can include many optional features including communications to all interconnected components and data logging of faults. 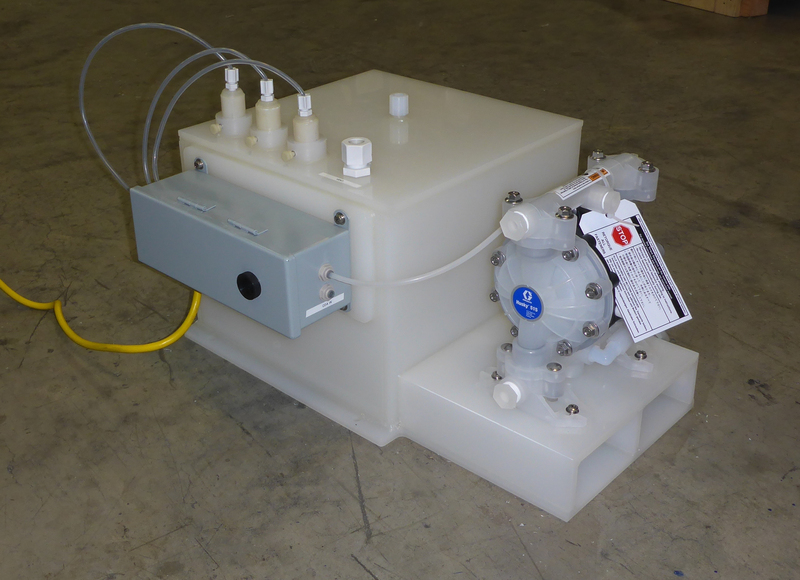 Chemwest Particle Removal Systems are manufactured in four sizes ranging from 50gpm to 400gpm and are designed to remove glass fines from cutting fluids. 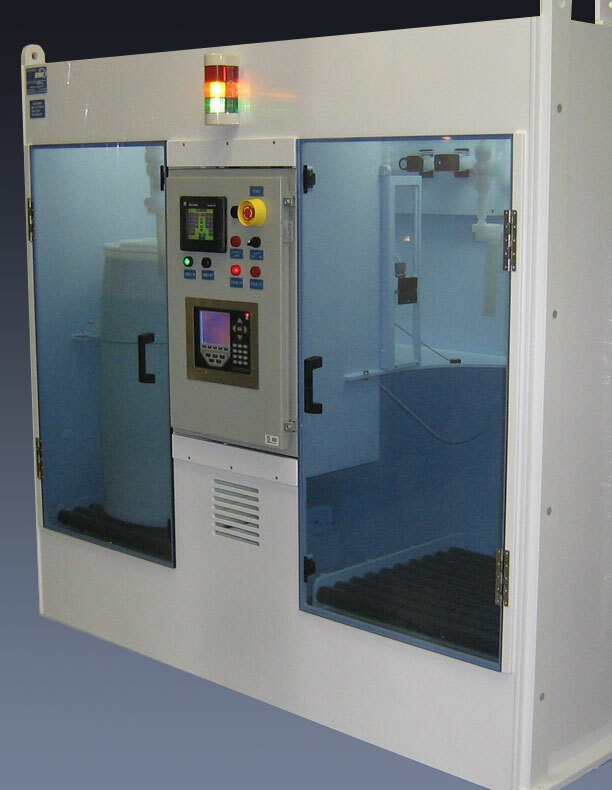 Particle removal systems are designed to remove 99.9% of suspended solids from cutting fluid used for cutting and grinding glass panels in the glass fabrication industry. 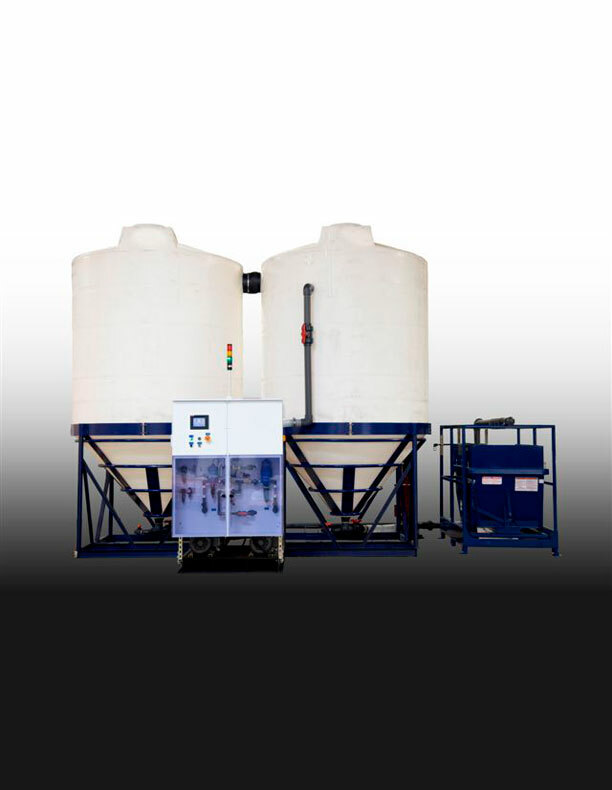 Considered to be a green alternative in the manufacturing process, these particle removal systems automate and recirculate an aqueous coolant. 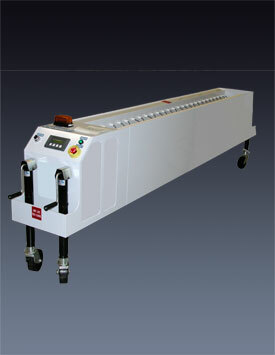 The system is used for removing particulate and fines associated with the glass cutting and beveling industry. 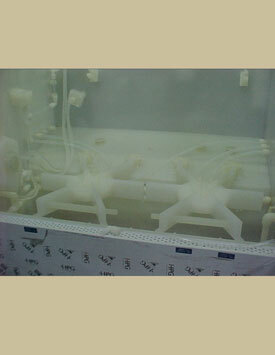 Fines are removed from the coolant stream by using a coolant and flocculent technology. 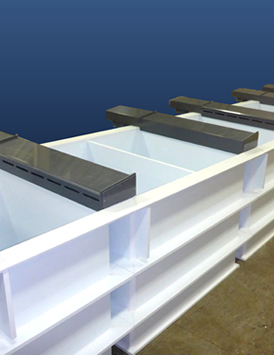 Swarf is removed from the coolant delivery stream allowing an increased feed rate, improved edge quality, reduced downtime, and an overall lower cost of ownership. 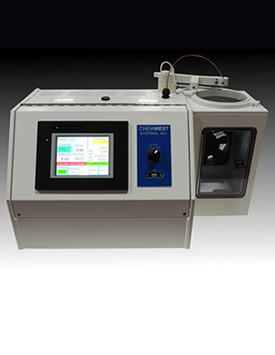 Chemwest provides an extensive array of process support to the semiconductor industry, across the wide range of products we design and manufacture. 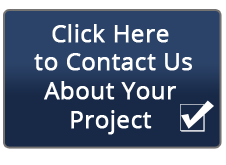 Call for specific information regarding your application. 300mm quartz parts cleaning products are designed for both horizontal and vertical furnaces and quartzware cleaning, and are configured to batch process an entire set of component parts using spray etch quartz cleaning and plastic fabrication. 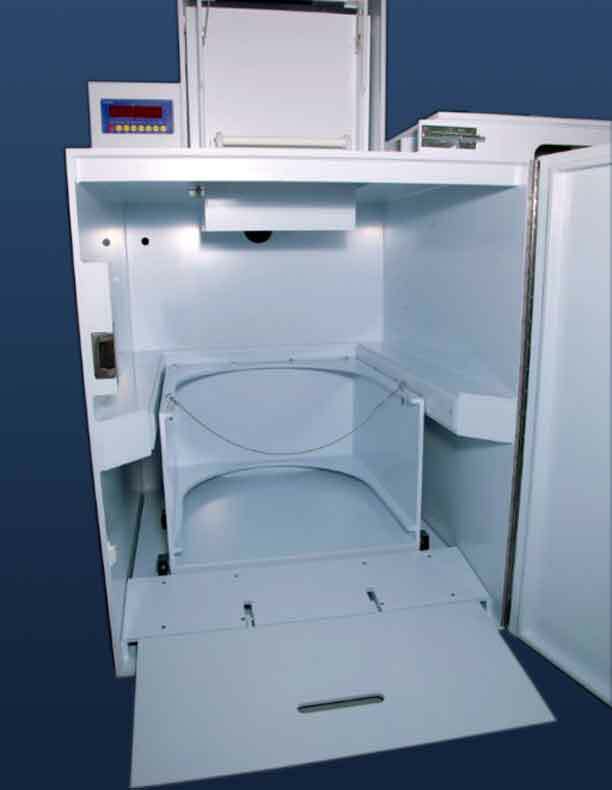 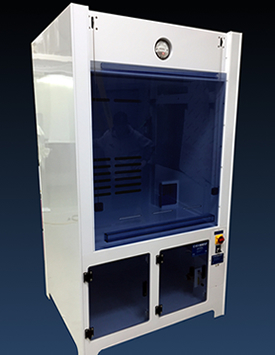 Chemwest manufactures an array of metal parts cleaning stations, preventive maintenance (PM) stations, deionized water (DI) sinks, and filter change sinks. Parts cleaning stations are designed to meet strict industry safety and ergonomics standards. 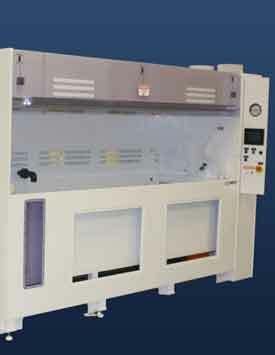 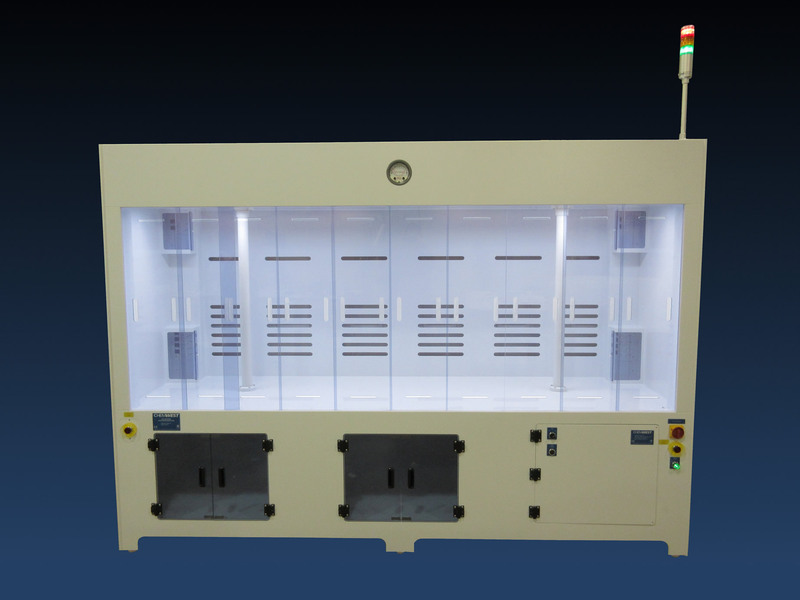 A Fume Hood is a ventilated standing work station, typically five sided, and characterized by measured and monitored air flow. Fume Hoods offer improved efficiency and safety by removing potentially hazardous chemicals, vapors, and dust from exposure to the operators/work compartment. Chemwest has many basic Fume Hood designs, and our Engineers can also work with you to create a design to fit your specific needs. 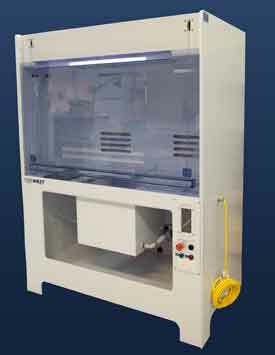 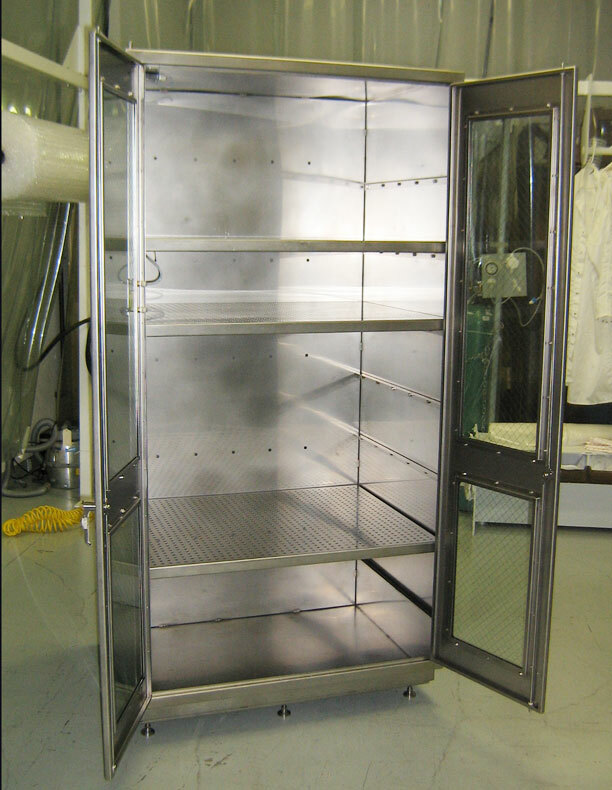 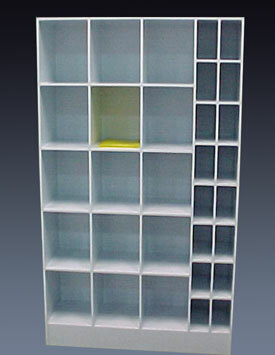 Fume Hoods can be made from a variety of materials. 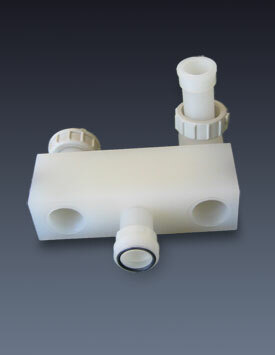 Polypropylene material is commonly used for its chemical resistance and flame retardency (FM4910 fire rated material). 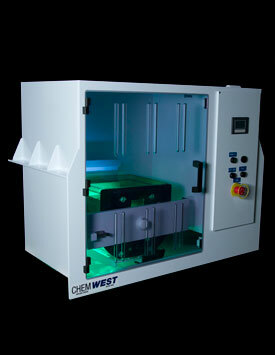 Chemwest can manufacture your application using a variety of Plastics, or Stainless Steel. 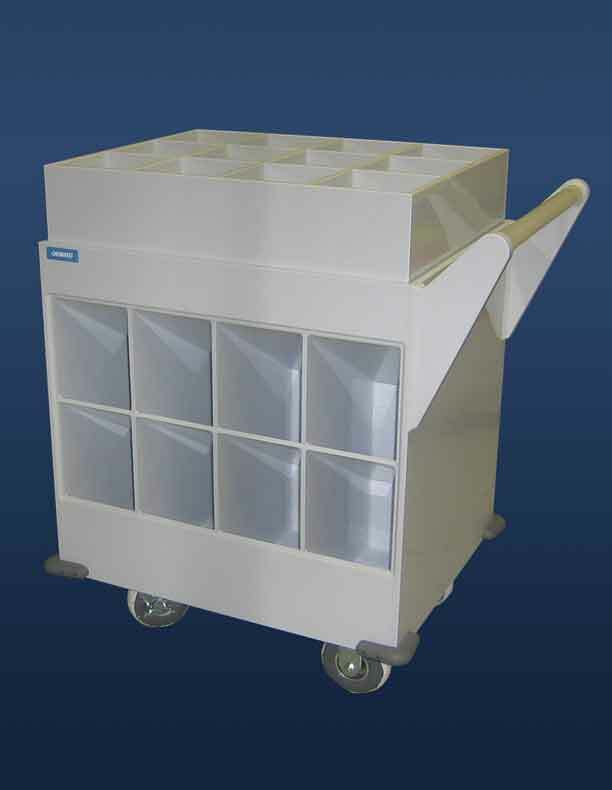 Chemwest provides plastic manufactured 300mm quartz transportation carts, maintenance carts, slurry carts, carboy carts, chemical transport carts, and pump carts. 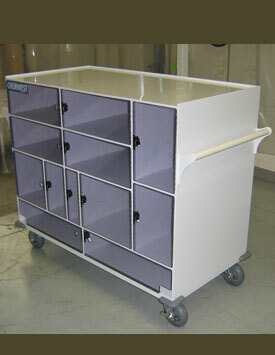 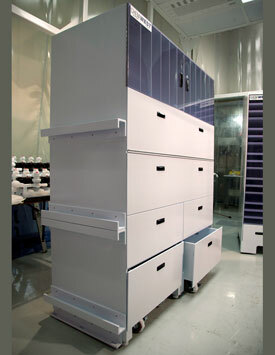 We’ll design, engineer and manufacture special design carts to meet your special specifications. 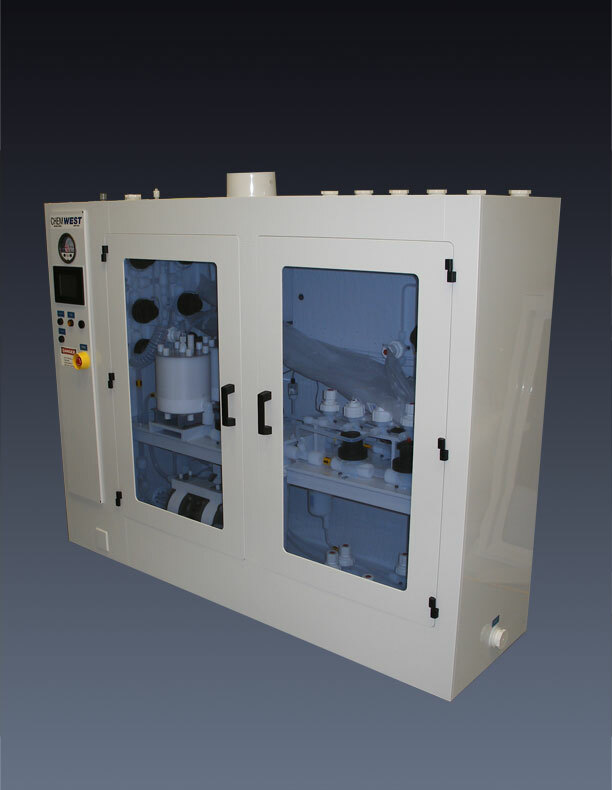 Quartz transport carts can hold quartz boats, quartz liners, quartz baffle, quartz plates and quartz Injectors to support your chemical vapor deposition furnaces, horizontal deposition quartz and vertical deposition quartz transportation. 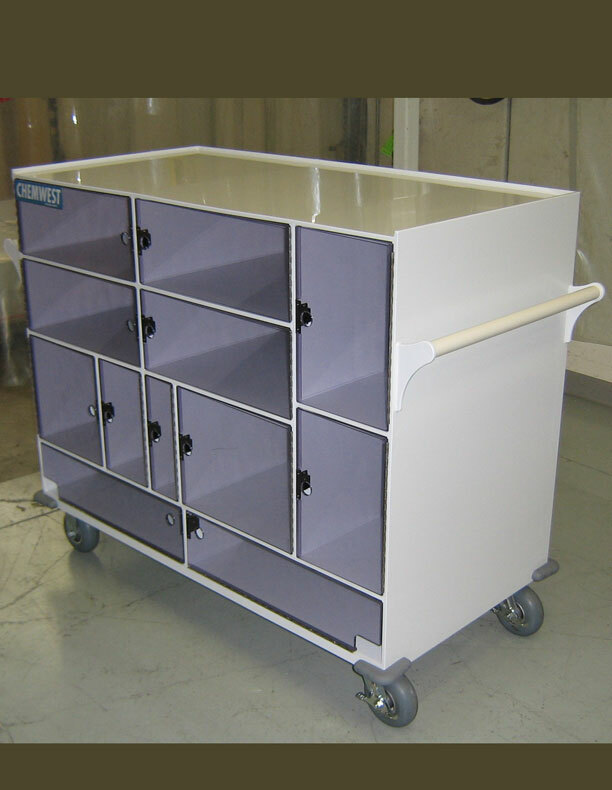 Plastic maintenance carts can be configured to help store and transport the tools needed for maintenance on process equipment. Chemical transport carts and chemical delivery carts are designed to carry one gallon chemical bottles, chemical carboys and solvent chemical transportation of one gallon solvent bottles. Chemwest provides plastic-manufactured storage cabinets and custom solutions for the storage of work in process, acid gear storage cabinets, and corrosive liquids storage cabinets. 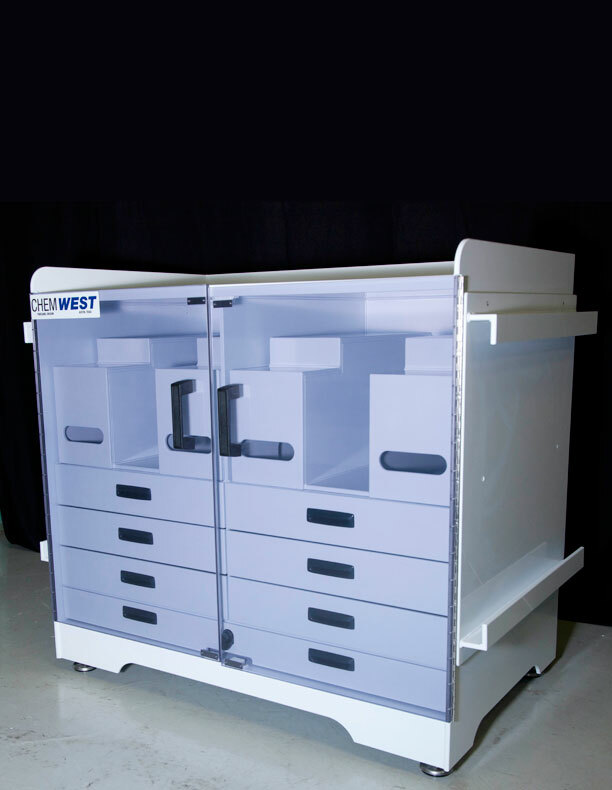 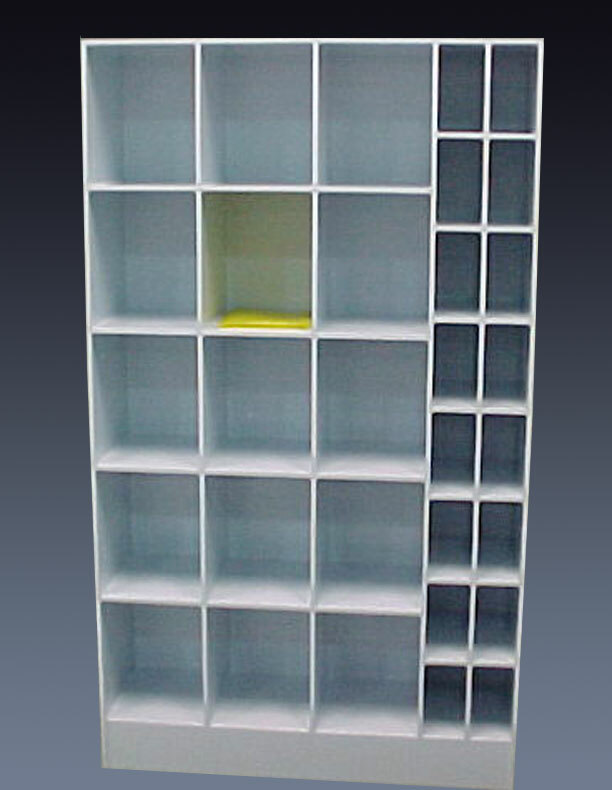 Chemwest can design custom plastic storage cabinets to meet other special requirements for storage cabinets or personal protective equipment (PPE) storage, shield storage cabinets, chamber storage or maintenance equipment. 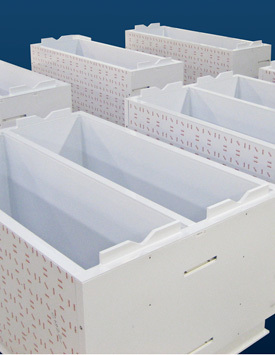 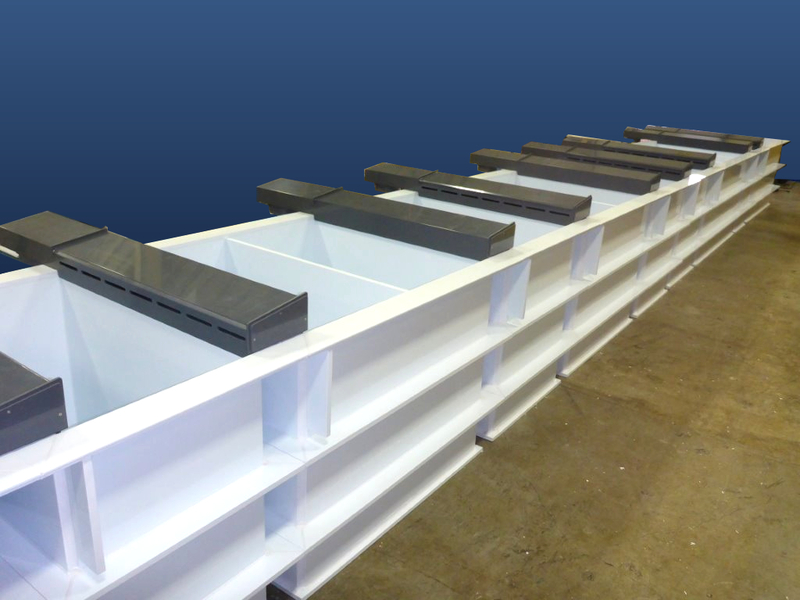 All plastic fabricated storage cabinets can be made from clean room-approved material and or FM4910, factory mutual fire rated material. Chemwest produces Chemical delivery units (CDU) for specific chemical delivery of corrosive chemistry; chemical valve boxes (CVB) for controlled chemical delivery to process equipment; chemical delivery systems for bulk chemical delivery; drum-supplied chemical delivery or tote-supplied chemical delivery. 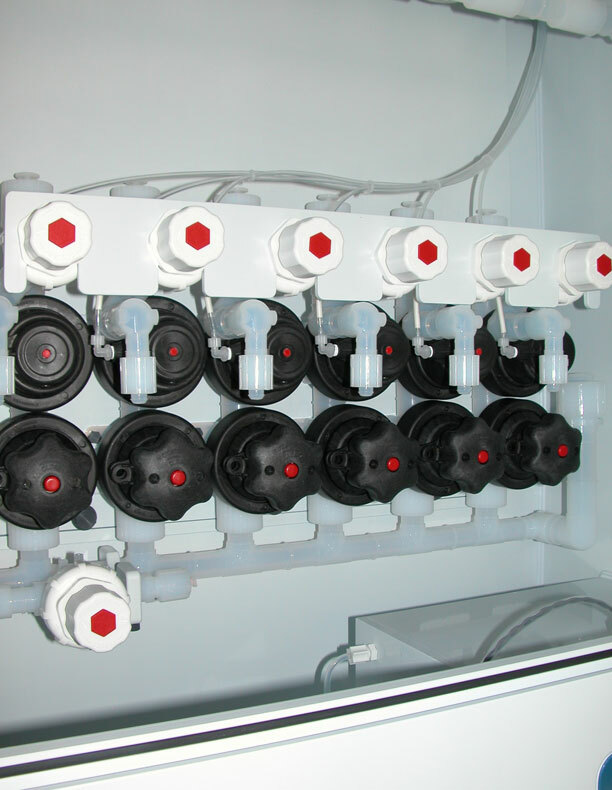 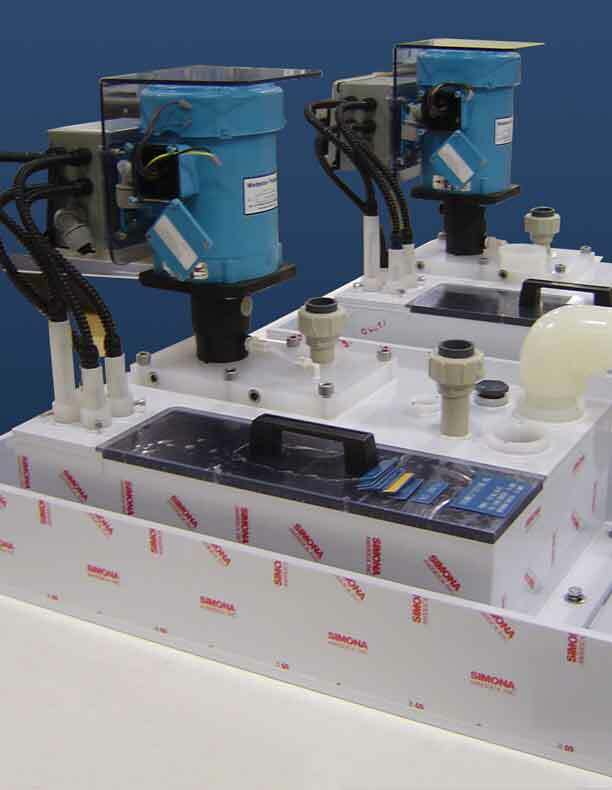 Plastic-manufactured chemical delivery systems can be configured to use pneumatic pumps and magnetic drive pumps with redundant pump operation. 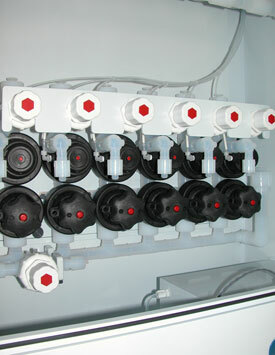 Pump dampeners help to reduce pulse and surge. 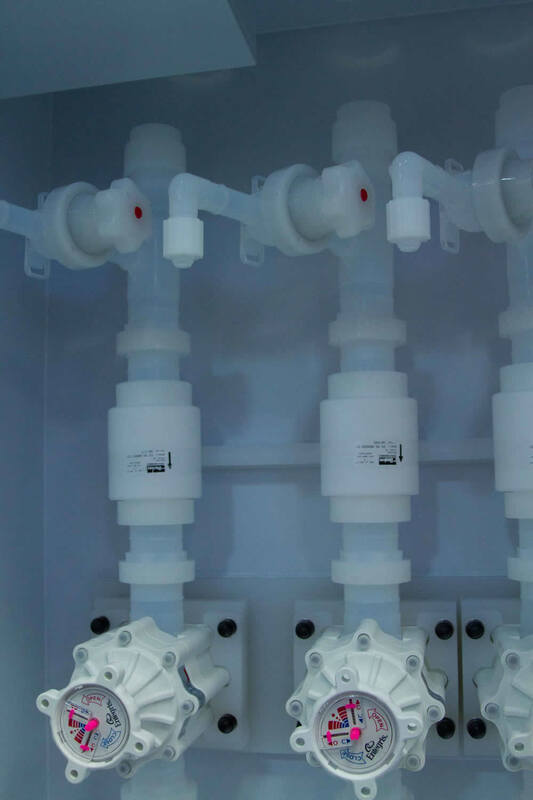 Chemical valve boxes (CVB’s) can have 1-12 chemical valve sticks (typical configuration is manual high purity valves x pneumatic high purity valves by sample or drain valve). Chemical valve boxes can be configured to operate as a slave to process equipment or run on its own internal program and operation code. Chemwest provides plastic manufacturing for industrial plating tanks. 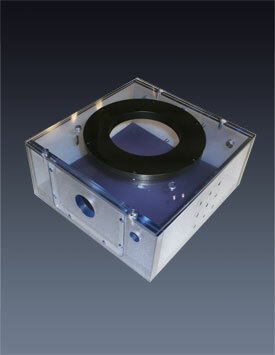 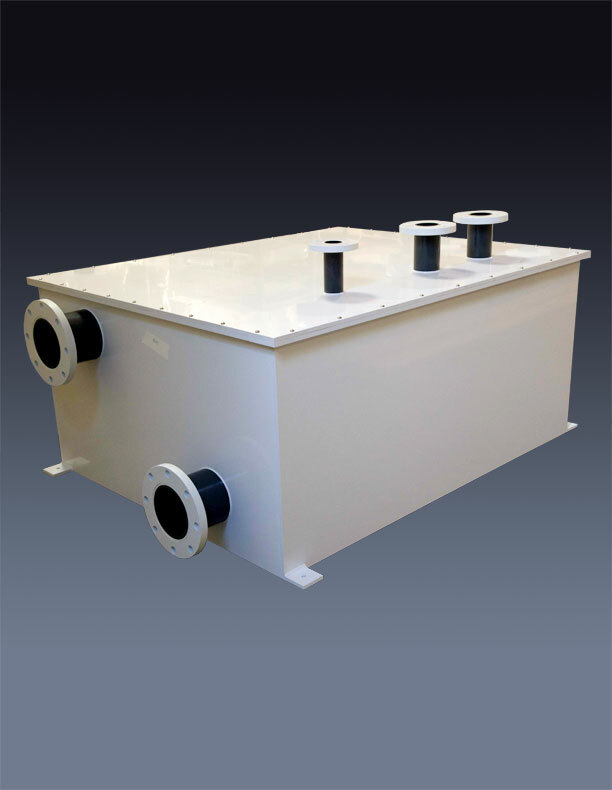 Plastic plating tanks are built to specifications using extrusion welds. 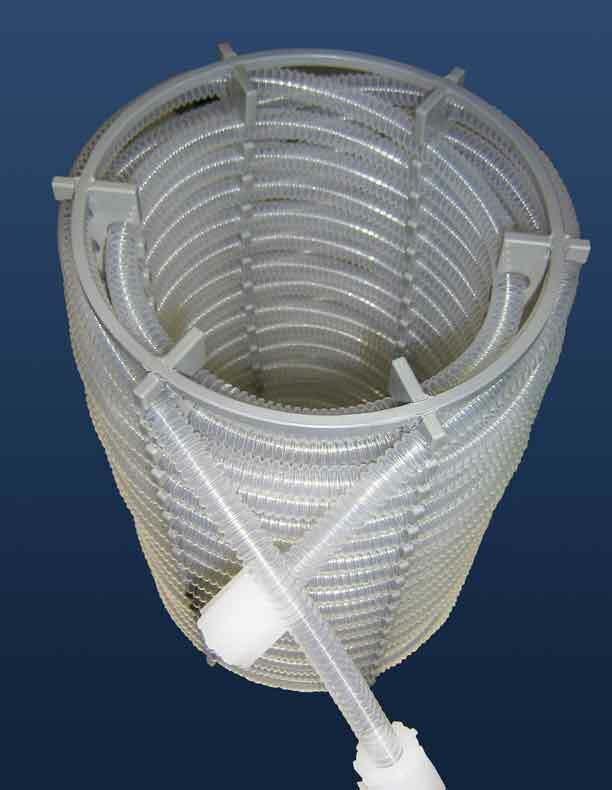 Volume and pressure calculations are performed to determine number of tank bands required for plastic plating tanks and if stainless steel bands, encapsulated metal or formed channel bands are required. Slope bottom plastic plating tanks and air knife can be designed into each plastic plating tank. 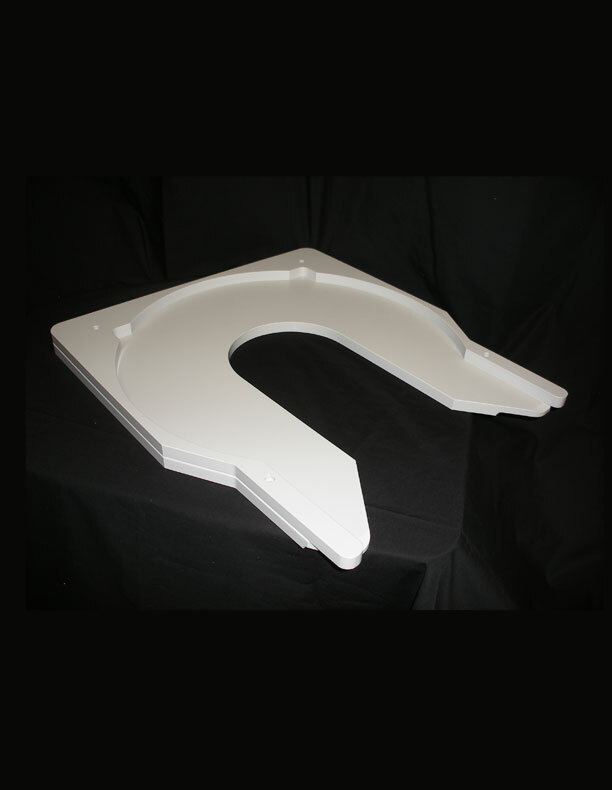 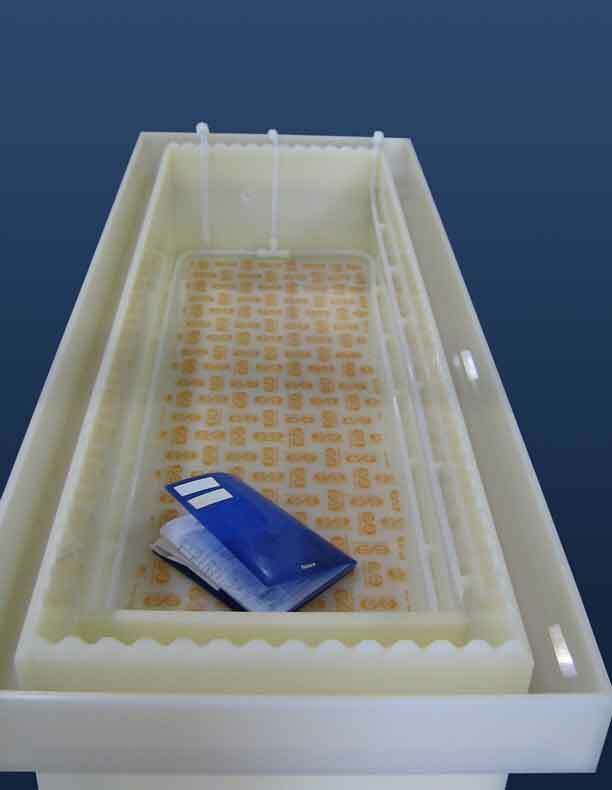 Chemwest can make basic custom plastic manufactured parts for holding items, containing liquid, splash shields, finger guards and table covers, plastic components or manufactured plastic pieces, Plastic manufactured trays to plastic machined parts. Chemwest provides process plastic fixtures to hold, maintain, or stage process parts during preventive maintenance or component installation and cleaning. 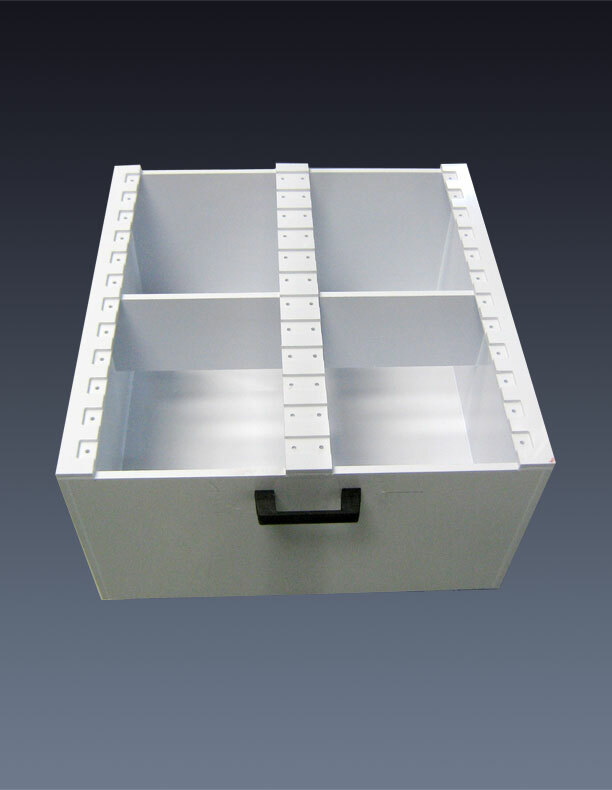 Plastic fixtures can be built from simple drawings and plastic concepts for both plastic manufacturing and plastic machining. Chemwest provides replacement plastic baths and plastic tanks for existing corrosive process stations. 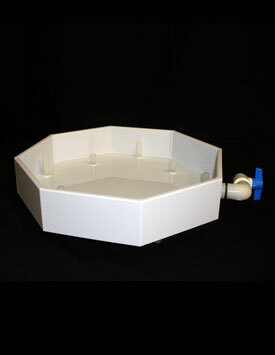 These plastic tanks and plastic baths can be designed and configured with Nitrogen spargers or nitrogen bubblers, quick dump valves and or cascading overflow plastic baths. Existing plastic baths and plastic tanks can be modified or upgraded for new corrosive process or wet applications. 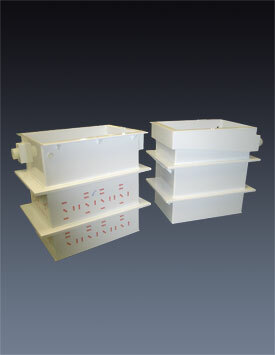 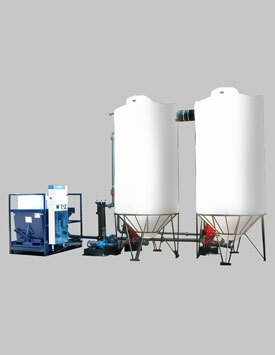 Plastic tanks can be manufactured to specified dimensions. 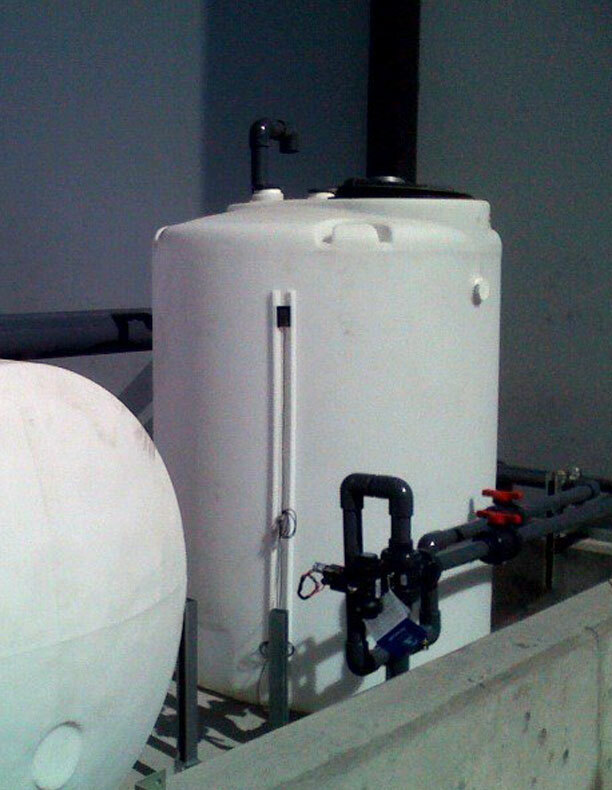 Plastic tanks can be built for day tanks, acid waste collection (AWN) tanks, water runoff tanks, holding tanks and overflow tanks. 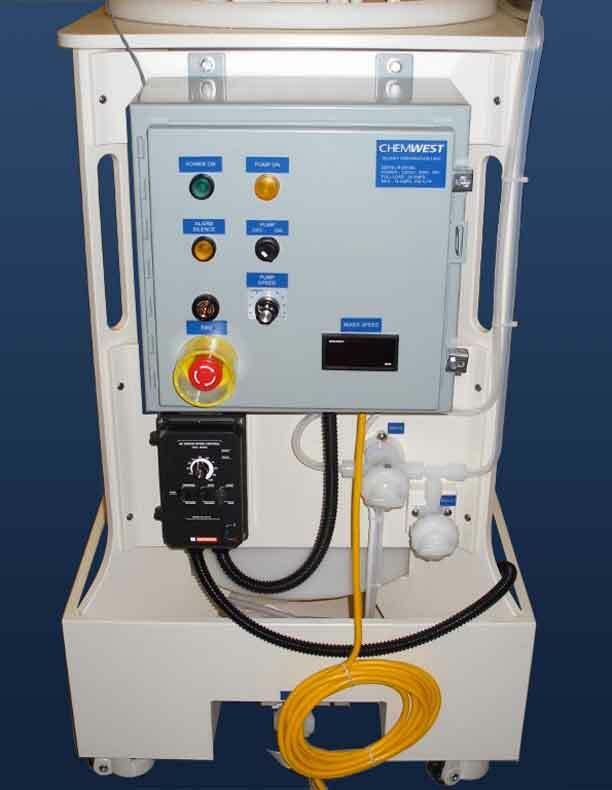 Vertical Lift Stations are typically used for pumping fluid from a lower to a higher elevation, or when moving waste fluids to a neutralization system or collection area, particularly where the elevation of the source is not sufficient for gravity flow. They are characteristically used for moving fluids that contain no appreciable solids. Simple in design, an incoming waste fluid enters the Lift Station via the inlet port, and the fluid is pumped out through Lift Station outlet port. 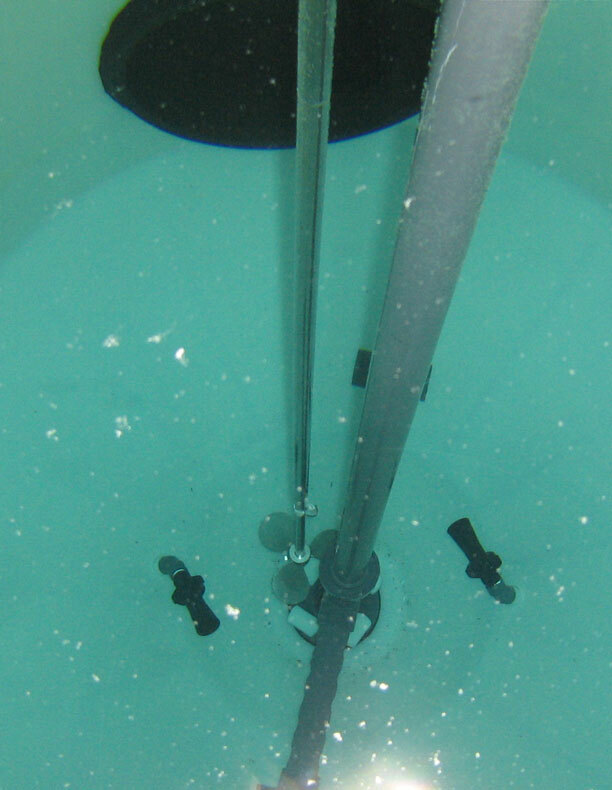 The fluid level in the Lift Station is monitored as it enters the tank via adjustable level sensors. 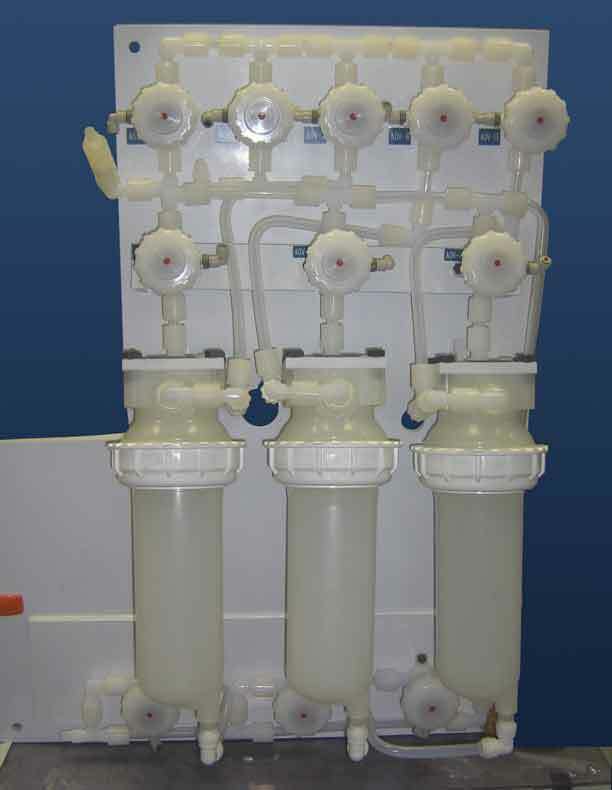 Level sensors will actuate the pump(s) to move the fluid until a low tank level is reached, and will then deactivate the pump. 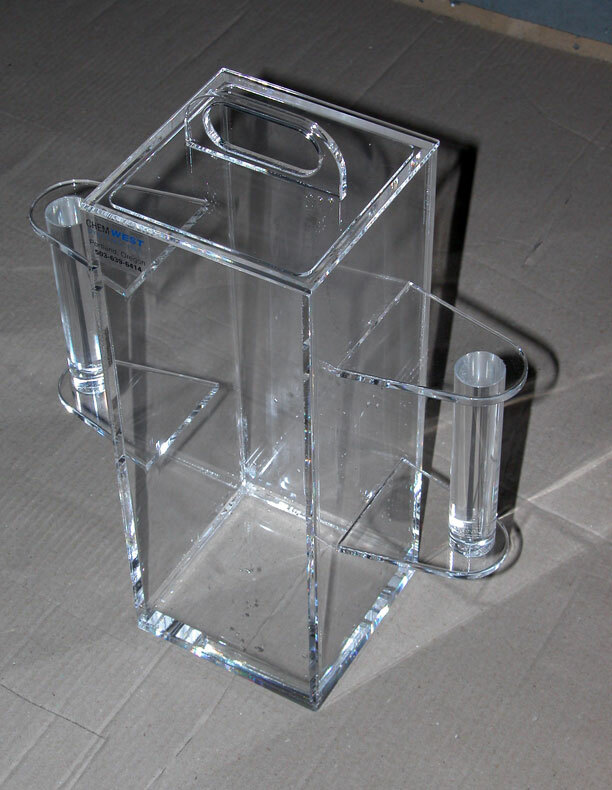 Chemwest provides plastic shields manufactured out of clear polycarbonate, clear PVC, clear Lexan, clear acrylic and many other solid plastics. Plastic shields include, Splash Shields, Finger guards, Chain Guards, knife guards, router guards. 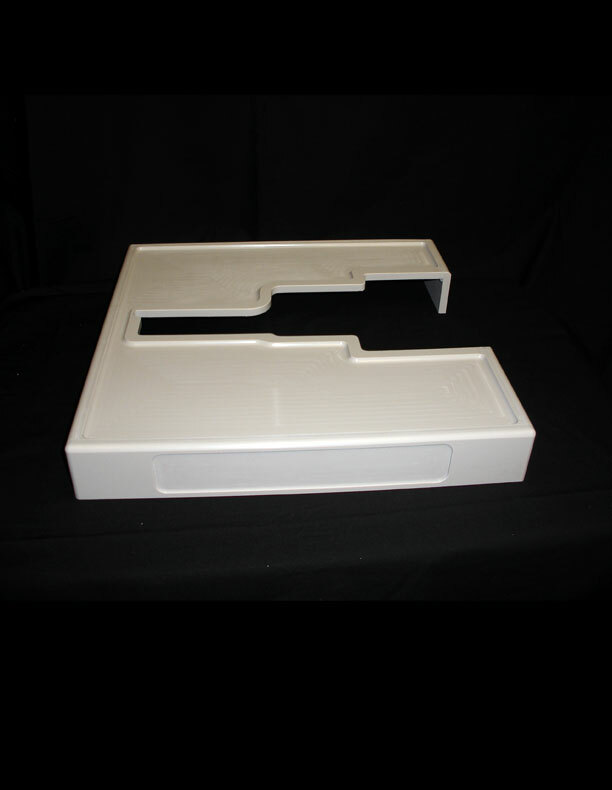 New coordinate measuring machine(CMM) allows Chemwest to reverse engineer OEM components for plastic machining and second source product supply. Chemwest can produce your ideas and special needs into developmental prototypes using plastic manufacturing and plastic machining. 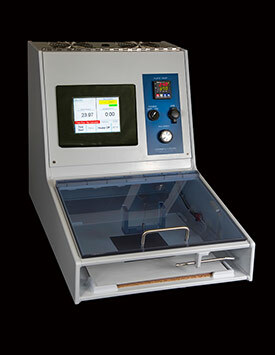 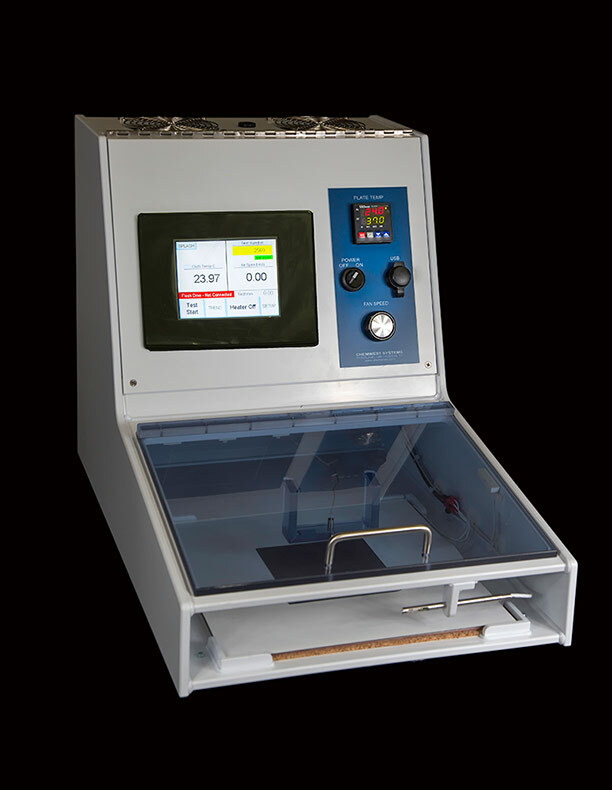 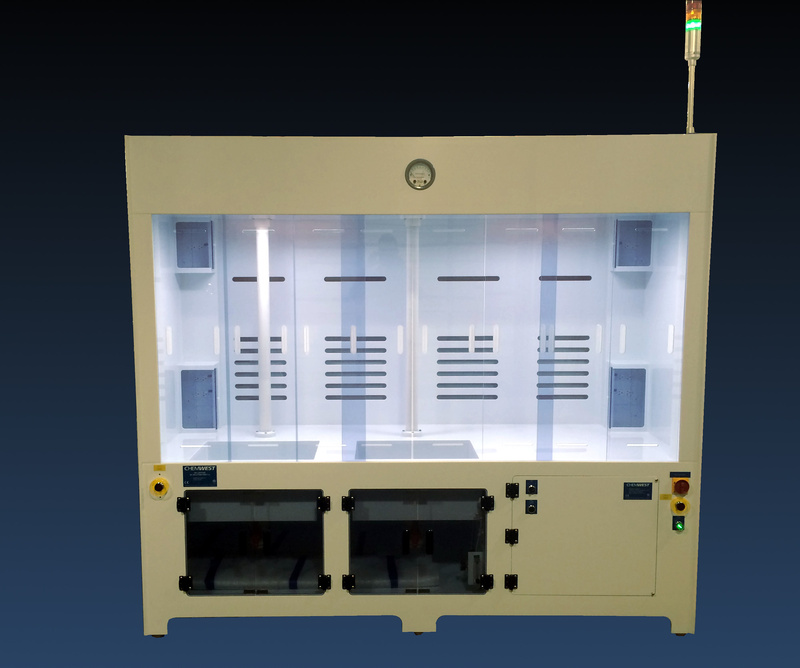 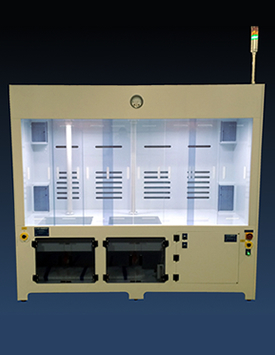 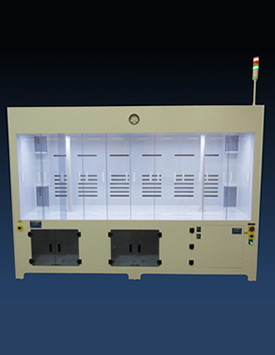 Designed to test the drying rate of fabrics, Chemwest manufactures two DRTU models that conform to specifications developed by and copyrighted in 2012 by AATCC (American Association of Textile Chemists and Colorists) Committee RA63. By employing the Air Flow Method, the drying rate of a textile is determined by the evaporation rate that occurs at its approximate absorbent capacity. Headquartered in Portland, Oregon, and with manufacturing facilities in both Portland and Austin, Texas, Chemwest Systems, Inc. is a world leader in precision plastic components, fabrication and services for Innovative Manufacturing Solutions for Industry. 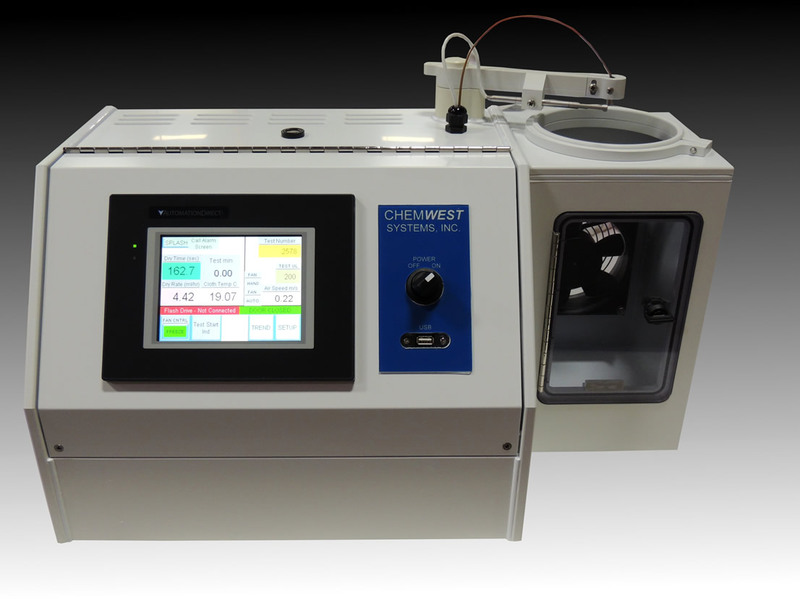 Chemwest products are an integral part of operations in many leading semiconductor fabrication facilities around the world.